Another great TWA shirt taken from an old TWA print campaign back in the 'sixties'. 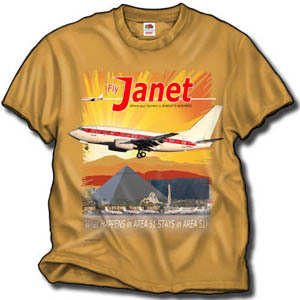 This shirt has the reproduction of the poster (or ad) on the back and the small TWA logo "Fly the Finest" on the front. On a Heavyweight Gildan Desert Tan shirt! Now discontinued, going fast!